This is a bridal hair accessory made out of 100% silk. 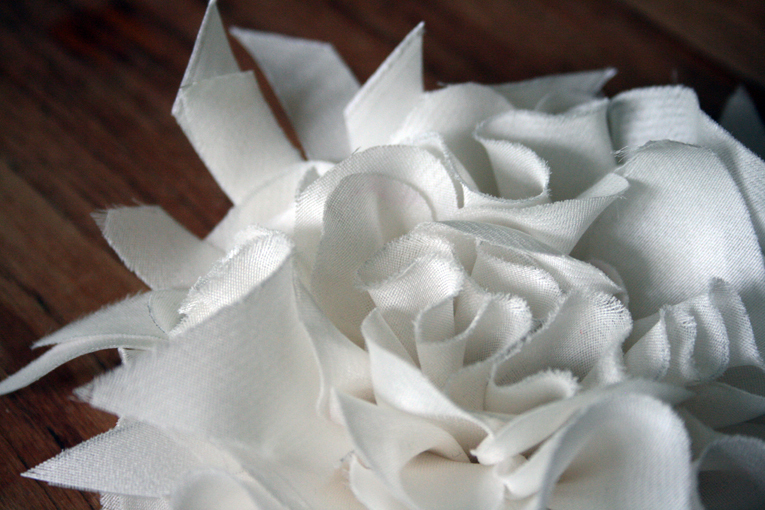 It is a mixture of ruffles, hand cut scallops and extra little bias cut strips. 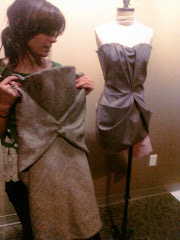 The fabric is treated so that the edges will not fray more than shown in the photo. All of my bridal accessories are custom made in the color and style of the bride's choosing. They are 100% hand and machine stitched... no glue involved. They run about $50 to $65 depending on the complexity and if Swarovski crystals are applied. For hardware I generally recommend my hand stitched loops on the back. This makes it easy for hair stylists to secure the flower close to the bride's head with pins. They can also be made as headbands or hair barrettes. Please contact me at ericksonemma@hotmail.com if you are interested in ordering a custom heirloom quality bridal hair accessory. 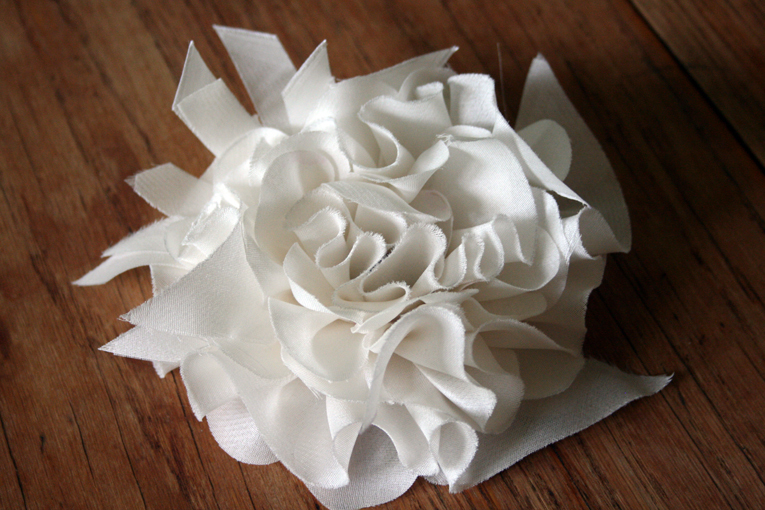 See Anneke's Wedding post for more photos of my silk bridal flower accessories. Also, don't forget these can be made in other colors such as black and a beautiful vibrant fuchsia for non-traditional brides and for everyday wear.